Tradition plays a major role in choosing Christmas food. At some point before the big day, we decide where and when to do The Big Shop. And it’s a major event in the calendar. Whether it’s off to one of the high street supermarkets or down to the local butcher for the Christmas turkey. But tastes change significantly: more and more people, especially younger members of the family are making life choices. Some become vegans or vegetarians, some are gluten or lactose intolerant, others demand free range…so as a commercial buyer, where do you source your Christmas turkey? If you are near Exeter, Rosamondford Turkey Farm provides traditional, naturally reared Devon turkeys. The turkeys roam the pastures and are fed on the finest locally produced ingredients. All turkeys are dry-plucked and hand finished to avoiding bruising or marking of the bird. All birds are grown, prepared and supplied on the farm premises. They are only fed a natural cereal and vegetable protein diet without additives or animal proteins. The flavour comes from dense meat and natural marbling. In South Devon is Scobbiscombe Farm, a National Trust owned farm in Kingston. 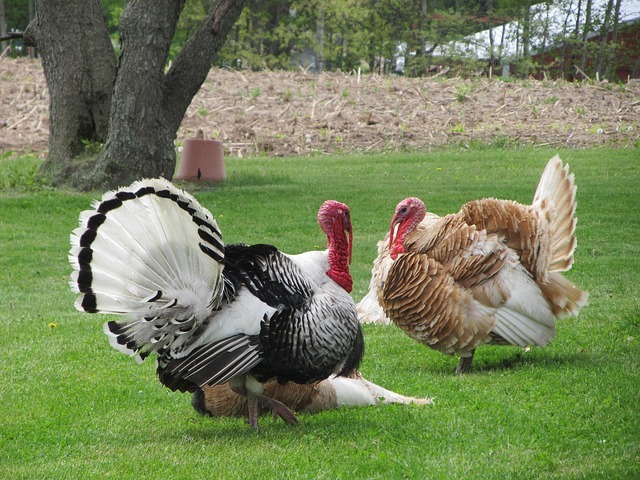 The turkeys have been specially bred to grow slowly. The farm also supplies the ‘TINY’ breed of turkey. This is a smaller bird without compromising on the importance of rearing to full maturity. As a member of the Traditional Farmfresh Turkey Association, assurance is provided of the highest quality turkey and the highest standards in welfare, traditional methods and hygiene. As far as the turkeys go their welfare is identical to that of birds reared on well−run organic enterprises. The turkeys arrive as day-old chicks at the end of June each year and are carefully reared under heat lamps until 5-6 weeks of age. They are fed on a proprietary turkey food which is supplemented with home-grown cereals from 10 weeks of age and they live until approximately 23 weeks of age twice the age that many supermarket turkeys will live. Organic turkey is available in many places but if you are catering in Wales, there is the award-winning organic and free range poultry from Capestone Organic Poultry Ltd . Today the business is run by Justin Scale, the fifth generation to farm at Capestone with all poultry reared, produced and processed on site. Traditional organic farming methods and working with nature produce a slower-growing bird, reared and produced from slow growing bronze strains. The turkeys have constant daytime access to lush organic pastures on which they are free to roam and forage from four weeks of age. Just space to mention fruit and veg: from fruit to vegetables and from dairy to salads, Milfords supplies a vast area in the south west supplying loose and pre-packed fruit across Devon, Dorchester and Somerset locally from the West Country whenever possible. In Wales, Peter Broughton Cardiff, is one of Wales’ largest independent fresh fruit and vegetable suppliers. Their fleet of refrigerated trucks, trailers and vans are ready to distribute food, offering exceptional freshness and quality. From kale to carrots, from swede to purple sprouting broccoli, everything is catered for! Wherever you get your Christmas turkey, it’s still not too late to source locally.